What more is there to say about 2018? With its neverending political chaos and celebrity scandal, it sure seemed to last a lot longer than 12 months. But at least the movies were mostly pretty good, and the box office receipts were record-breaking. Winnowing my year-end list of favorites down to just 10 movies was a real challenge, but the titles I selected were thrilling, original, inventive and ambitious, and they haven't left my brain since I first saw them. As is the case every year, some acclaimed films — Barry Jenkins' If Beale Street Could Talk, the Polish drama Cold War, the Palme d'Or-winning Shoplifters — haven't hit town yet, but even without seeing those, I still had a lot to work with. Without further ado, here are my 10 favorite films of the last year. 2018 was a good year for horror, and Ari Aster's punishing, wildly insane supernatural thriller was at the top of the heap. Despite its debts to Rosemary's Baby and The Exorcist, it has a remarkably surefooted vision for a debut feature, and Toni Collette's ferocious central performance as a grieving, possibly unstable, mother is a masterclass in expertly controlled histrionics. This indie charmer is set in a Hooters-style restaurant in suburban Texas, and follows the harried manager (the great Regina Hall) as she tries putting out fires both at work and in her personal life. Writer-director Andrew Bujalski takes the basic form of a boisterous studio comedy and injects it with humanity and melancholy, touching on the same socio-economic anxieties and sexual politics that made Magic Mike a sleeper critical darling. Don't sleep on this one. Paramount had so little faith in Alex Garland's heady follow-up to Ex Machina that the studio dumped it onto Netflix in pretty much every country but the U.S. No wonder, because it's far more cerebral and challenging than your typical multiplex fare, a genuinely horrifying and intelligent piece of sci-fi action. Its mostly wordless final act is one of the biggest narrative and stylistic gambles of the year, and it pays off. Korean auteur Lee Chang-dong's first film since 2010's masterful Poetry is an adaptation of a Haruki Murakami story, and it beautifully captures the author's fascination with mundane lives being interrupted by the unexplained and otherworldly. It's an ever-evolving organism, a romance that develops into a love triangle that then morphs inexorably into a chilling mystery, and it's beguiling and enigmatic even as it creeps past the two-and-a-half hour mark. As she did in her 2010 breakthrough Winter's Bone, Debra Granik sensitively considers the lives of the displaced in Leave No Trace. The story of a man and his adolescent daughter living off the grid deep in the Oregon woods, it says more with a glance than most movies could with swathes of explanatory dialogue. Ben Foster is expectedly intense and studied as the father, an Iraq War veteran living with PTSD, but it's relative newcomer Thomasin McKenzie who's the wounded, searching soul of the film. One of the best behind-the-scenes documentaries of recent years, in which director Sandi Tan reflects on the feature film she and her teenaged friends made guerrilla-style on the streets of 1990s Singapore. That story would be enough to make a fascinating doc, but it's what happened after filming wrapped up that's strange, unsettling and, in the end, weirdly inspirational. The archival footage from the '90s (which functions as an accidental snapshot of a Singapore that no longer exists) is amazing, and Tan's reflective, self-deprecating approach is refreshing. It's now streaming on Netflix. Not only did Steve McQueen's muscular heist thriller fail to find an audience, it's mostly being overlooked in the year-end shuffle. That's a shame, because it's the kind of movie Hollywood should be making more often. On a superficial level, it's a smart and twisty action film, but it's also grappling with big ideas about the machinations of political dynasties, race and social strata, and the unpredictability of grief. McQueen's visual experimentation is exciting and his cast — Viola Davis! Elizabeth Debicki! Daniel Kaluuya! Brian Tyree Henry! — is at the top of its game. What's not to like? The films of Yorgos Lanthimos (Dogtooth, The Lobster) are shot through with the impending threat of violence, though it tends to be more emotional than physical. That's certainly the case with The Favourite, a 17th-century period piece whose weapons of choice are withering scorn and lacerating wit. In examining the vicious power struggles within the coterie of an ailing Queen Anne, Lanthimos' primary artillery is a trio of show-stopping performances — Olivia Colman as the monarch, Rachel Weisz as her back-biting confidante and Emma Stone as the tenacious handmaiden with a thirst for sovereignty. This is comedy that leaves a bruise. Since he first gained attention with his scripts for Taxi Driver and Raging Bull, Paul Schrader has often focused his work on the emotional brittleness of seemingly resolute men. 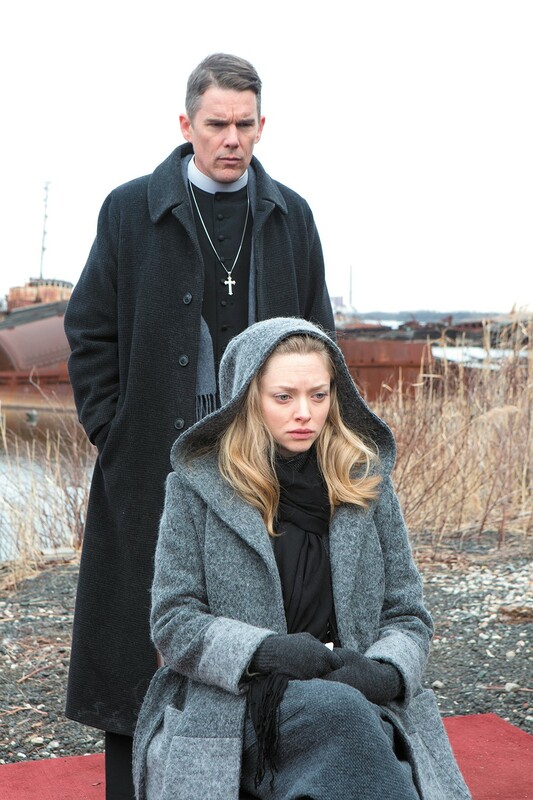 First Reformed, the best film he's directed in decades, finds a terminally ill priest (Ethan Hawke, never better) questioning the very notion of a benevolent creator in a fractured world, and realizing his earthbound and spiritual concerns are troublingly intertwined. This is a challenging and elliptical exploration of religion and the state of the planet, and how they're often at odds with one another. It seems that Alfonso Cuarón's career has been building slowly but surely to Roma, an extraordinary vision that has the sweep of a great novel and the precise focus of an intimate character study. What begins as a modest drama about the quotidian routines of the live-in maid for a wealthy family (Yalitza Aparicio, in a stellar first-time performance) soon morphs into something much grander, a cutting commentary on class divide and a picaresque allegory about the political upheaval in early 1970s Mexico. 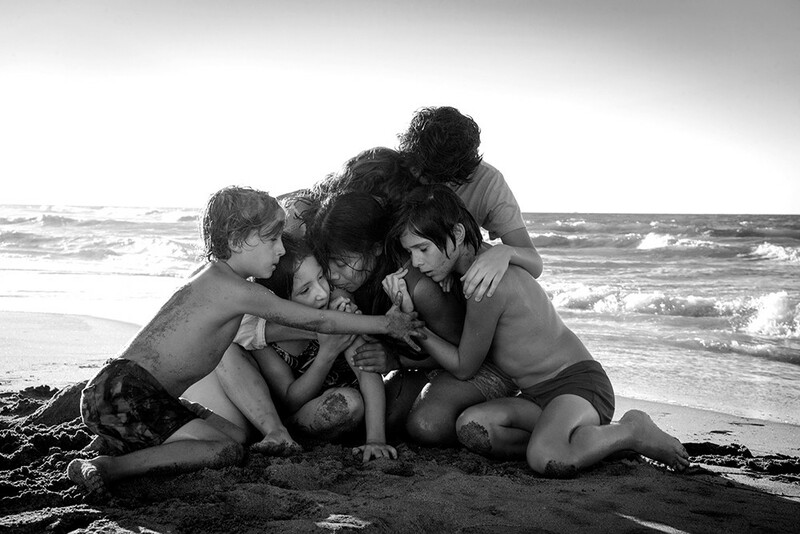 Photographed in lustrous black-and-white by Cuarón himself — and just about every shot is loaded with rich detail — Roma has the haziness of the director's own childhood memories, but they're recalled with the clarity of a seasoned artist in complete command of his medium. I've seen it twice — once on the big screen, once at home on Netflix — and its power hasn't diminished. The original print version of this article was headlined "Cinematic Riches"